Breakneck Ridge to Dia:Beacon route on Google Maps. In the penultimate train car, at 10am on a Saturday, I rose to my feet eager for the next stop. As we approached it became clear that I was not the only New Yorker trading the city for the woods on this weekend in September. The leaves had yet to begin to turn, but the sweet smell of fall was already lingering on the morning’s perfect, cool, crisp air. As the train slowed to a stop, a queue of roughly 75 hikers formed between the last two train cars. 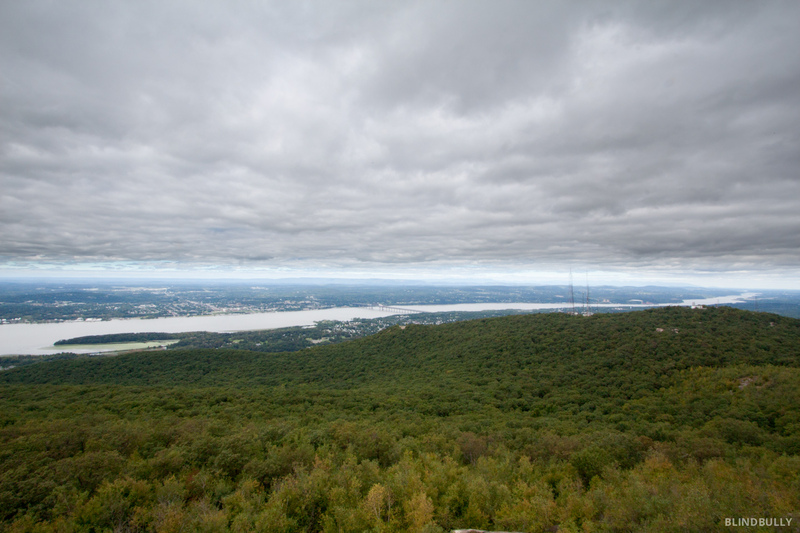 Two by two we hopped down onto the wooden Breakneck Ridge platform and reflexively took a deep breath while looking up from forest to partly cloudy sky. NYC might be full of adventure, but there are times when I feel a need for wilderness beyond Central Park. 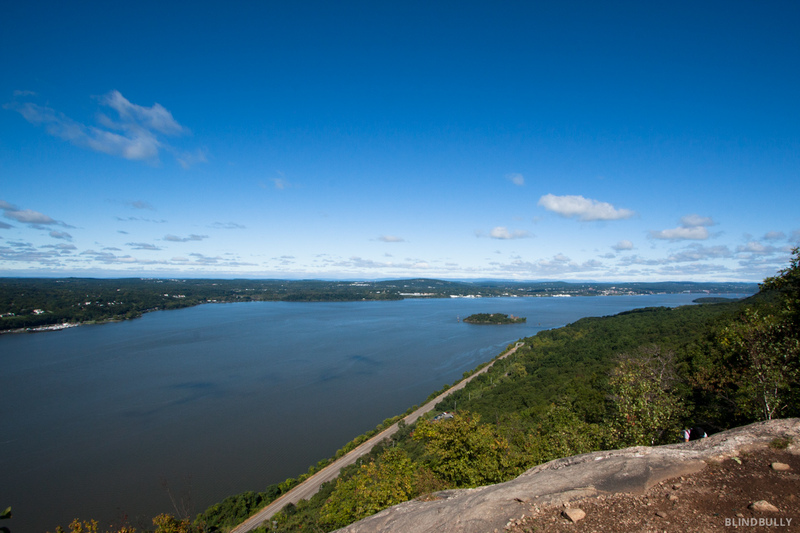 Thankfully, MTA’s Metro North provides public transportation for hikers to Breakneck Ridge, a tiny platform between the Cold Spring and Beacon stops on the Hudson line. 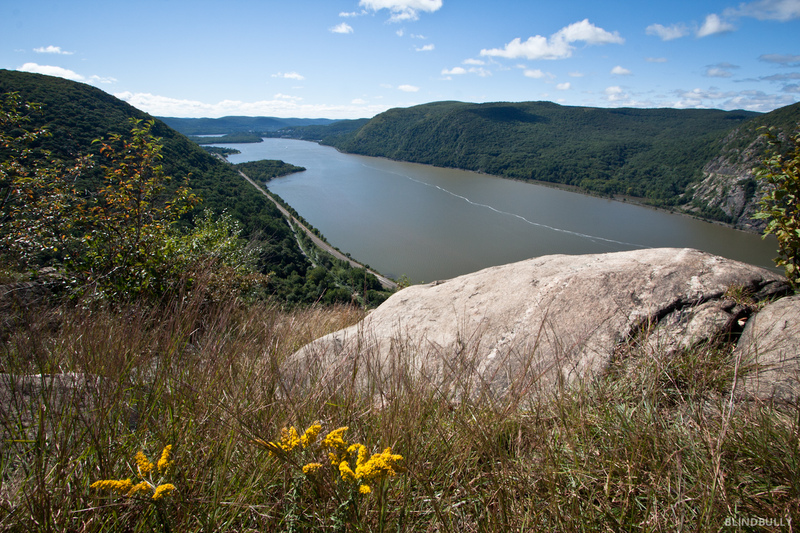 It’s a mere 80-minute ride from Grand Central Station with beautiful views along the Hudson. 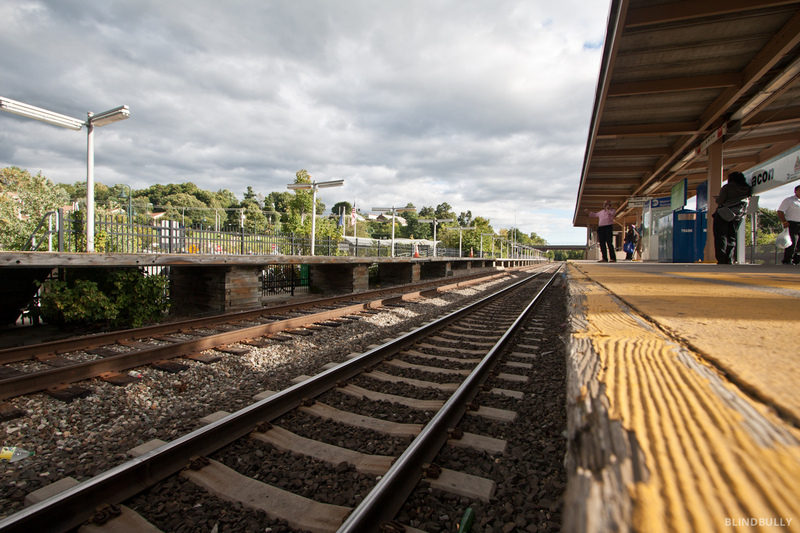 On the weekend there are two morning trains that depart at 7:43am or 8:43am from Grand Central catering to the bleary eyed hiker and stopping at the Breakneck Ridge platform. There were many groups and no doubt a couple meetups, but I was out for a personal adventure so I hustled to the trailhead, located down Breakneck Rd/9D to the right (south) at the far end of the parking lot just before the tunnel. 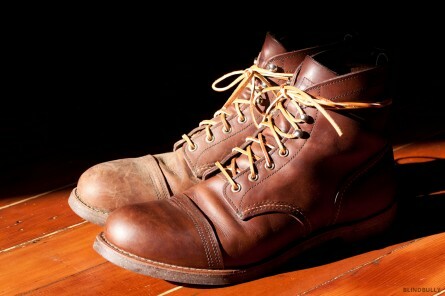 It is conveniently marked by a box of low resolution trail maps. The beginning of the hike is steep, with repeated scrambling, but quick elevation gain is advantageous when on the run from civilization. 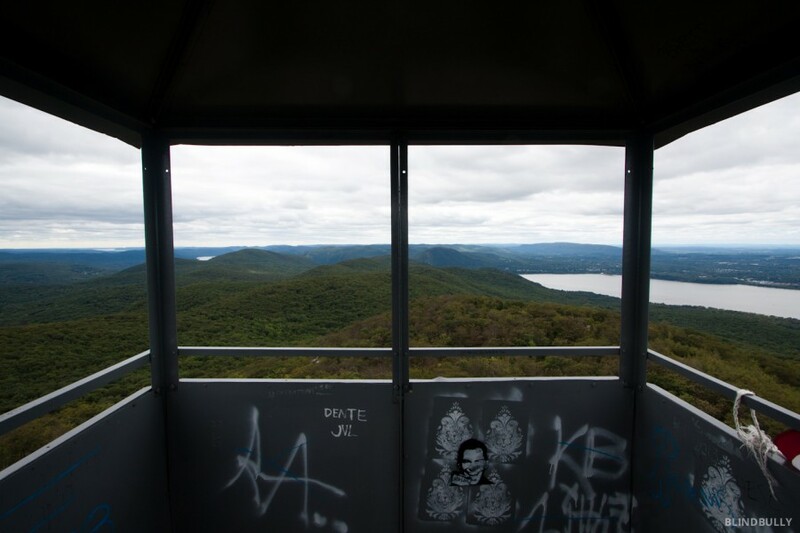 Along the rocky ascent there are numerous scenic lookouts allowing for beautiful panoramas up and down the Hudson Valley. The hike levels off after the steep introduction and the majority of hikers loop back to the breakneck parking lot or circle down to the Cold Springs. Thus, after the fork in the trail, comes the true peaceful escape. 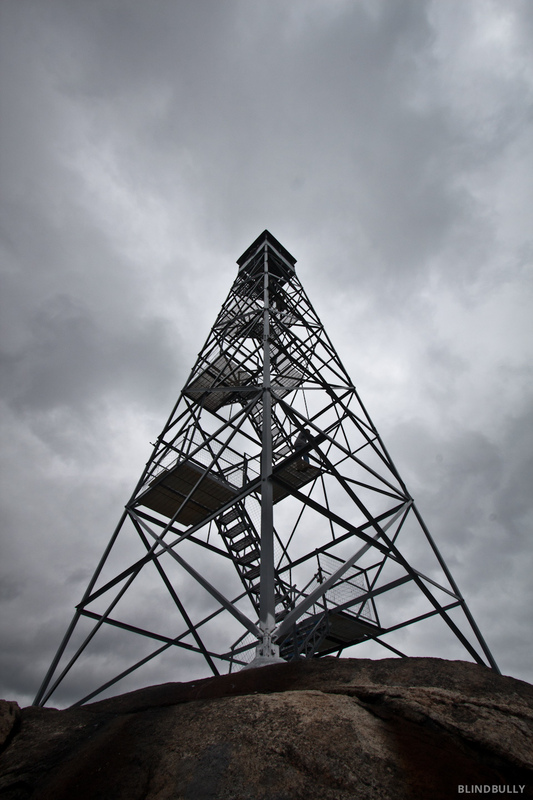 About 4 miles from the trailhead you’ll come across a fire tower that is open to the public. Get up there! 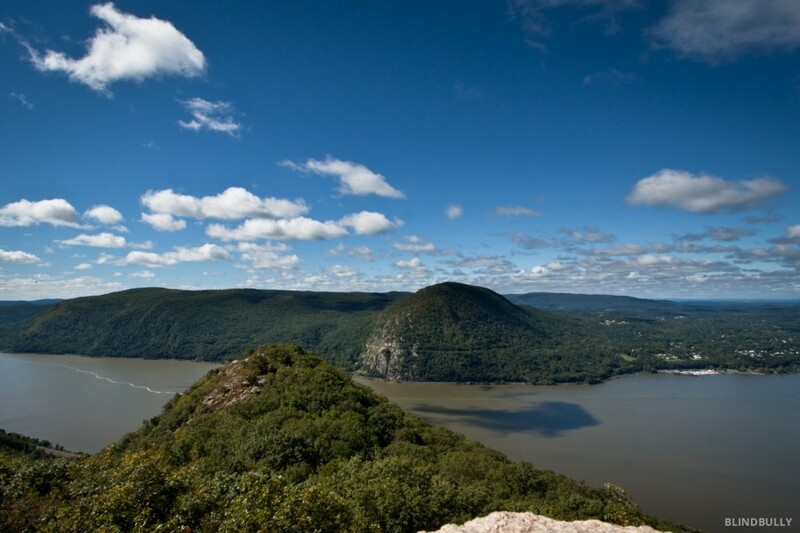 On a clear day from the top the views are stunning: the New York City skyline to the south, the Shawangunk Ridge (The Gunks) to the north, Hudson Highlands to the east and endless rolling hills to the west. 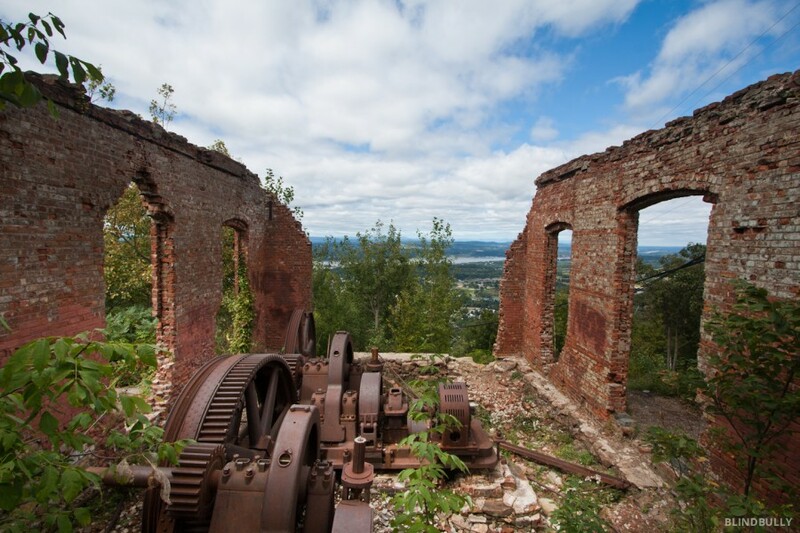 The hike is almost over when you arrive at the crumbling foundation of the Beaconcrest Hotel and Incline Railway Powerhouse. Only a short walk from Beacon, this is a very popular destination for picnickers. If planning a weekend to Beacon with non-hiking, but reasonably fit, friends this plateau could make for an excellent rendezvous location as it’s a beautiful place to wait and snack. Once in town head over to The Hop, a highly recommended restaurant and craft beer tasting room, for a rewarding lunch. The interior displays beer better than it hosts customers, but if you can find a spot it’s well worth it. Following Main St, head towards the Hudson to take in the town before once again walking south on 9D, this time towards Dia:Beacon. The museum is known not only for their contemporary art, but also for their building, a renovated 240,000sqft Nabisco facility, allowing for very large-scale installations including work by Richard Serra, Imi Knoebel, Blinky Palermo, Andy Warhol, among many others. It’s a beautiful space to explore and the staff are knowledgable and friendly, answering my questions to the construction methods of Richard Serra’s Torqued Ellipses. From Beacon the trains depart hourly for NYC, but if you go on the Second Saturday of the month there will be open galleries and art events in the evening. By the time you get back to the city you’ll be ready to crash, but your soul will be rested by the slower pace of nature and town, ready for another NYC week. There are many trails in these woods, so I highly recommend buying the New York – New Jersey Trail Conference East Hudson Trail Map or bringing your phone and periodically checking in with my new or old google map route. Breakneck into Beacon is the exact trail I want to take! 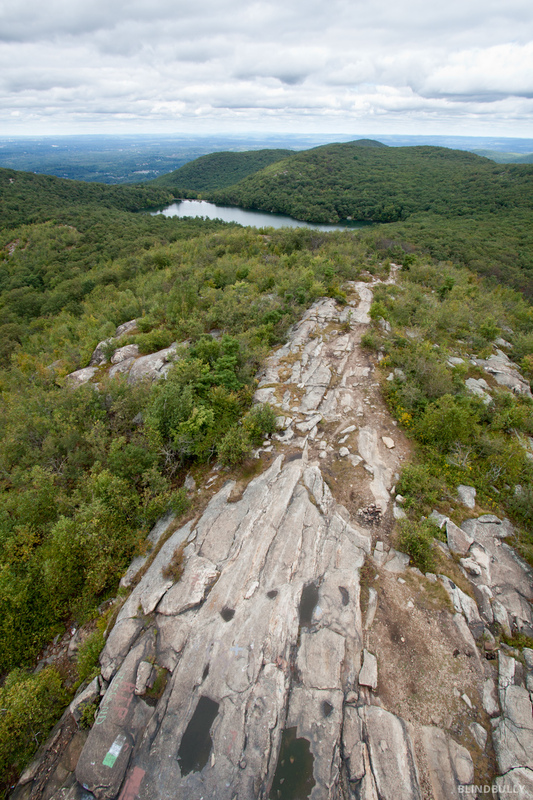 I’ve hiked Breakneck 4 or 5 times, but I have always taken the trail back to 9D. 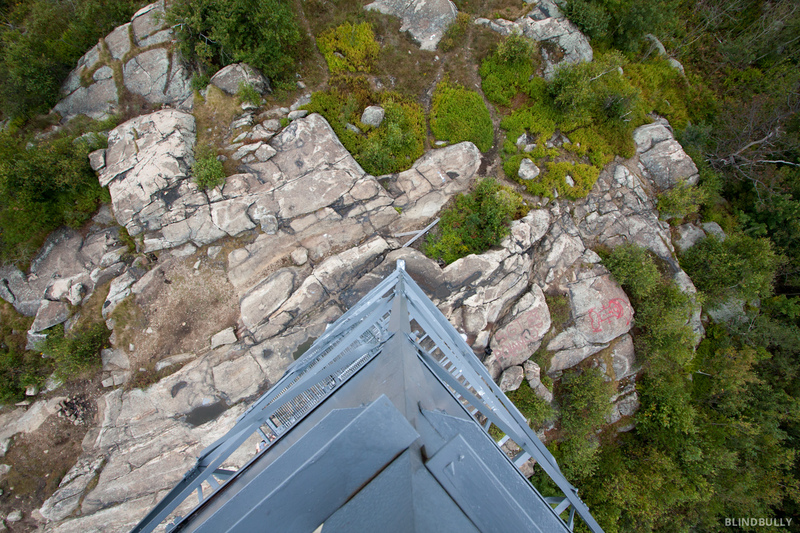 I really want to see the firetower & go to Beacon this time. Can you tell me which trail I need to follow? I’m not sure exactly when this fork occurs, since I feel like the trails become pretty insistent as you approach the descent back to Cold Spring. Your photos are gorgeous, by the way! Thank you for your comment! Unfortunately, as you mention, the trails are a mess in these woods both in number of markers and intersections. I tried to show my path with the embedded Google Maps, but their latest iteration no longer supports multiple destinations (quite the update), so I’ve removed the embedded map from my post. Thankfully it’s still possible to link to a map with multiple destinations, so check out the link below the first image in the post and you can follow the same trails I traveled. Although, without the trail marker colors, things could become a bit confusing, so I’d still recommend grabbing the East Hudson Trail Map #102 (I found mine in REI’s SoHo location). It’s nice to have a real map on hand with high resolution detail, but I’ve found an image of the map here that shows you’ll follow: White (Breakneck Trail), Blue/White, White, and Red (Casino Trail) into Beacon. Have fun!